The industrial transformation in Japan between 1950 and 1970 saw the country’s proportion of city dwellers swell from 38% to 72%. Over the following 20 years, Japan Inc was hailed as the global benchmark for management excellence. When the economic miracle was exposed as a mirage, a generation of soothsayers was discredited. It was followed by a lost decade, which cost the Japanese people the yen equivalent of US$8 trillion and incinerated many western fund managers. The projected urbanization rate in China looks eerily like a template of the Japanese experience. Its burgeoning trade surplus and brimming foreign exchange coffers follow a similar pattern, as does a rickety banking system and a growing hunger to buy foreign corporate assets. Perhaps the last 10 years in the world’s fastest-growing economy may not be the best guide to the next 10. One man who holds that view is Edward Tse, managing partner of Greater China for Booz Allen Hamilton, the international management consultancy group. 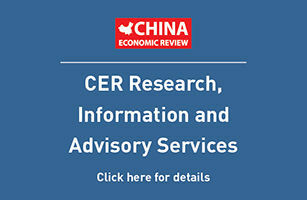 In a strategy report, China’s Five Surprises, he says: "The success of foreign companies attempting to do business in China depends on their ability to get inside the heads of their Chinese competitors and joint venture partners." Tse does not necessarily believe China will be the world’s largest world economy by 2030. Nor is he in the camp of skeptics, who say growth is bound to falter amid environmental, social and political problems brought on by rapid expansion. Instead, he forecasts that changes stemming from the cultural, economic and political evolution will turn out differently from the way most outsiders expect. Perhaps the most surprising of the five surprises is a prediction that the centuries-old guanxi system of business relationships may take a back seat. The Booz Allen Hamilton report says that the popular view of China as a patronage-based economy, in which connections and ethnic background determine success, is becoming old hat. While being pally with the nephew of a Communist Party leader may still open some doors, the trends are towards transparency, merit and high quality management. What you know is becoming increasingly more important than who you know. There is also a surprise in store for those who are still hooked to the idea of China as an imitator rather than an innovator. Chinese universities are pouring out graduates endowed with engineering and science PhDs. Many of these men and women are what Tse calls "fearless experimenters", prepared to start their careers at low wages in the knowledge that their fortunes could rise dramatically if they hitch their wagon to the right entrepreneurial star. Last year China became the world’s largest R&D investor after Japan and the US. The country is the new benchmark for measuring the R&D performance of Europe and the comparison is not flattering. The EU spends about 2% of its GDP on R&D versus 1.3% in China. But China is boosting its ratio by an average 10% a year, which puts it firmly on course to overtake the EU by 2010. EU Trade Commissioner Peter Mandelson has said Europe should focus on technology for growth, while others argue that China is already moving so rapidly up the ladder to more sophisticated technology, Europe’s efforts will be swamped. Tse points out that there are two types of Chinese industries. Those where the government has a policy of restricted non-state ownership, like telecommunications, energy, financial services and banking; and those that are open to all comers from around the world, such as consumer products, electronic goods and pharmaceuticals. In the former category ethnic Chinese will still have a home field advantage – although WTO and other trade regulations may erode that advantage over time. In the latter, the playing field is more level and the opportunities wider as a result. Chinese overseas investment is going to be a constant and provocative theme. The rebuffed CNOOC bid for Unocal stirred up paranoia in the US among those who see China as a thief of markets. However, Beijing has more subtle ambitions to act as a catalyst of sustained economic growth in emerging markets around the developing world. This takes the shape of increasing investments in Asia, the Middle East, Latin America and especially Africa. The clear objectives are to secure alternative supplies of oil and raw materials – China now imports almost a quarter of its oil from Sudan, Nigeria and Angola – but Tse points out that this "soft power" initiative has a significant impact on accelerating industrialization in poor countries. Both state and privately owned Chinese companies have invested in a range of African businesses in textiles, telecommunications, hotels and construction. In the long term these investments will prove more beneficial to the recipients than buckets of aid – and further diplomatic brownie points will accrue to China.